No payment required, cancel anytime. Minimum storage period is one (1) calendar month. You can leave at anytime, we just require 14 days notice. Monthly storage fees are to be paid in advance. Invoices will be emailed to the Storer 14 days prior to the due date. The storage period starts from the day that the box is delivered to from the customer. Goods are stored at your own risk. We recommend checking your existing home and contents policy, or taking out additional insurance cover. 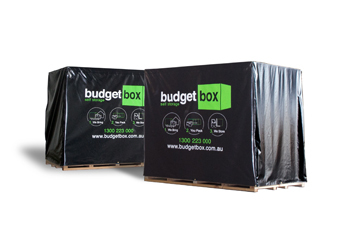 Budget Box Mobile Storage is excluded from liability for the loss of goods stored on its premises, except in circumstances covered under Australian Consumer Law. Storage of hazardous, dangerous, illegal, stolen, perishable, environmentally harmful or explosive goods. The Storage Box will only be accessible during set access hours as posted on our website. We will delivery the box to your chosen address attached to the trailer. We will set up the ramp and leave the door ajar. Once you have finished loading the box please attach your lock to the door and leave the ramp in place. Do not pack up the ramp or stabilisers, we will do this for you.